In 2017, CM+PR began working with the delicious & hand crafted Churro Stix brand to promote the grand opening of their second franchise location in Ventura County. Consortium applied its Five Pillars of Marking approach to bolster the brand name and consumer awareness of Churro Stix Pacific View to their neighboring community. 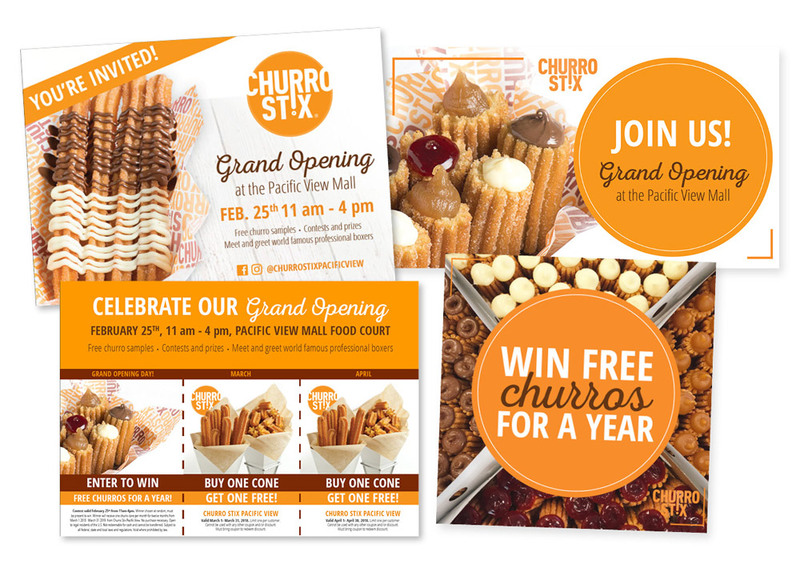 To grow the brand name and awareness of Churro Stix in Ventura County, by positioning Churro Stix as the new, go-to dessert place in Ventura County, showcasing positive attributes in the Grand Opening campaign to increase customer sales and overall awareness. To use the most cost-effective strategic plan, including legacy media, press, social media and printed collateral to create a baseline of effective sales and brand growth. A full legacy media schedule including radio advertising, interviews and an on-site live remote. A full suite of promotional materials for distribution throughout the grand opening campaign. Public relations outreach to increase community awareness and create sustained traffic to the new business. An integrated social media campaign across all participant platforms including artwork, content and distribution to engage consumers.